2013 Honda Civic EX Sunroof/Moonroof, Polished Alloy Wheels, Clean History Report, Like New, Passed Dealer Inspection, Vehicle Detailed, Recent Oil Change, 160-Watt AM/FM/CD Audio System, 4-Wheel Disc Brakes, 6 Speakers, ABS brakes, Air Conditioning, Alloy wheels, Automatic temperature control, Brake assist, Delay-off headlights, Dual front impact airbags, Dual front side impact airbags, Electronic Stability Control, Four wheel independent suspension, Outside temperature display, Panic alarm, Power door mirrors, Power moonroof, Power windows, Remote keyless entry, Security system, Speed control, Speed-sensing steering, Steering wheel mounted audio controls, Tachometer, Telescoping steering wheel, Tilt steering wheel, Traction control, Trip computer. Recent Arrival! EX KBB Fair Market Range High: $13,158 Awards: * 2013 KBB.com Brand Image Awards 2016 Kelley Blue Book Brand Image Awards are based on the Brand Watch(tm) study from Kelley Blue Book Market Intelligence. Award calculated among non-luxury shoppers. For more information, visit www.kbb.com. Kelley Blue Book is a registered trademark of Kelley Blue Book Co., Inc. Recent Arrival! Black Leather, Sunroof/Moonroof, Leather Seats. 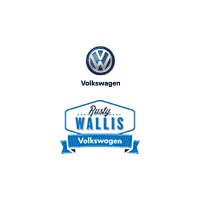 EX-L Rusty Wallis Honda is a family owned Honda dealership that strives to maintain the highest levels in customer satisfaction by offering the nicest vehicles, lowest prices and best customer service anywhere. KBB Fair Market Range High: $15,825 Awards: * 2013 KBB.com Brand Image Awards 2016 Kelley Blue Book Brand Image Awards are based on the Brand Watch(tm) study from Kelley Blue Book Market Intelligence. Award calculated among non-luxury shoppers. For more information, visit www.kbb.com. Kelley Blue Book is a registered trademark of Kelley Blue Book Co., Inc.
Certified. CARFAX One-Owner. 2016 Honda Civic LX Honda Certified Pre-Owned Certified, Honda Certified with Warranty, Clean History Report, Like New, Passed Dealer Inspection, Vehicle Detailed, Recent Oil Change, 16" Wheels w/Full Covers, 4 Speakers, 4-Wheel Disc Brakes, ABS brakes, Air Conditioning, Automatic temperature control, Brake assist, Delay-off headlights, Dual front impact airbags, Dual front side impact airbags, Electronic Stability Control, Exterior Parking Camera Rear, Four wheel independent suspension, Fully automatic headlights, Outside temperature display, Panic alarm, Power door mirrors, Power windows, Radio: 160-Watt AM/FM Audio System, Remote keyless entry, Security system, Speed control, Speed-sensing steering, Steering wheel mounted audio controls, Tachometer, Telescoping steering wheel, Tilt steering wheel, Traction control. Recent Arrival! LX KBB Fair Market Range High: $17,137 Awards: * 2016 IIHS Top Safety Pick+ (When equipped with honda sensing) * NACTOY 2016 North American Car of the Year * 2016 KBB.com Brand Image Awards 2016 Kelley Blue Book Brand Image Awards are based on the Brand Watch(tm) study from Kelley Blue Book Market Intelligence. Award calculated among non-luxury shoppers. For more information, visit www.kbb.com. Kelley Blue Book is a registered trademark of Kelley Blue Book Co., Inc.